Haringey’s draft transport strategy comes at a vital time for London and its boroughs. As the Mayor of London makes clear in his own plans for transport in London, a shift away from car-based travel is absolutely vital to prevent congestion getting out of control and an escalation of existing public health problems related to poor air quality and inactivity. With the population of this borough expected to rise significantly over the coming years, it’s clear that ‘do nothing’ is not an option. In order to prevent gridlock, a significant shift to transport modes that make better use of existing space – walking, cycling and public transport – is required. Added to the negative impacts of road congestion, there is a substantial and growing understanding of the negative health impacts of an inactive, car-based population. Currently 2/3rds of all journeys by car in London are less than 5km, a distance that is easily cycled or walked in around 20 minutes. Cycling for just 20 minutes a day has been shown to bring astonishing health improvements, greater than other moderate activities, because cycling encourages people to exert themselves for example when they encounter a hill or set off from traffic lights. Like walking, cycling for transport is an ‘incidental activity’ – exercise that is built into everyday life, not an additional burden on your discretionary time like other exercise can be. Cycling is for everyone, now more so than ever. Adapted cycles are helping people with mobility issues for whom cycling can be easier than walking. New technologies like e-bikes are opening up opportunities for active transport to those who can’t or don’t want to overexert themselves and e-assist cargo cycles are bringing forward exciting opportunities for freight consolidation. New developments in dockless bike hire technology mean that not owning a bike is no longer a barrier to cycling. 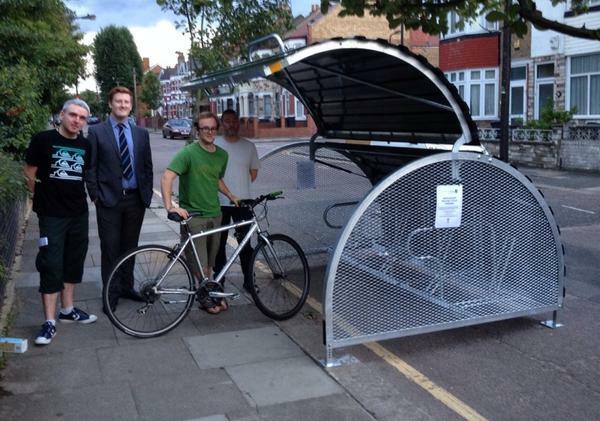 Currently just 8% of 243,700 potential cycle trips in this borough are being made by bike. The key to unlocking this enormous, untapped potential is putting cycle infrastructure in place to support it. We look forward to seeing detailed plans and targets for how cycling growth will be supported in the forthcoming cycling and walking strategy. As the 2015/16 review by the Environment and Community Scrutiny Panel correctly identified, motor traffic speed and volume is the greatest discouragement to cycling. The overriding focus of the Cycling and Walking Strategy needs to be delivery of a dense cycle network that is entirely separated from fast or heavy traffic flows, complemented with the creation of low, or no-traffic neighbourhoods. This is the only proven way to deliver a step-change in cycling levels on a population scale, with encouraging results from Haringey’s neighbouring boroughs showing that this rings true even in places more car dependent than Haringey. Haringey is well placed to make progress in this area. The borough already has several low-traffic neighbourhoods, relatively low (and falling) car ownership and high proportion of trips are already made by walking or public transport. In places there is a vestigial cycle network, but such networks are only as good as their weakest link, with junctions a particular failing. The challenge over the coming years is to make complete routes that offer a consistent standard from end-to-end. It’s clear that this won’t be easy – the issue is one of urban space and how best to use it. 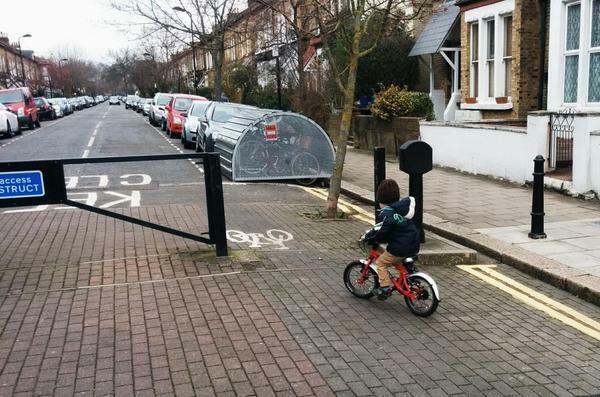 Despite overwhelming evidence that cycling is good for people and business, the difficult choices that need to be made to enable all-ages cycling means tough choices to change how our urban space is allocated. Change always meets with resistance, and it’s clear from other boroughs making progress towards fairer, more liveable streets, that a minority of people will never be satisfied with any reallocation of road space to cycling. Strong support from all levels of local government is required to deliver outcomes that match strategic goals. An attempt to satisfy everyone often leads to outcomes that please no-one. Haringey’s resulting strategy needs to be followed through root and branch with delivery of all transport-related projects in the borough. From minor residential development to even the smallest highways amendment, the question needs to be asked – how will this help deliver Haringey’s stated goals? Delivery needs to match strategic aspirations every time, or opportunities to improve our borough will continue to be missed, to the detriment of us all. UPDATE 17 Nov – we received the news last night that the proposal for a mini-roundabout has been dropped. We look forward to seeing an alternative proposal come forward. Met with Cllr Ahmet and officers this evening. A proposal is on its way which retains a planter, and ditches the mini-roundabout. 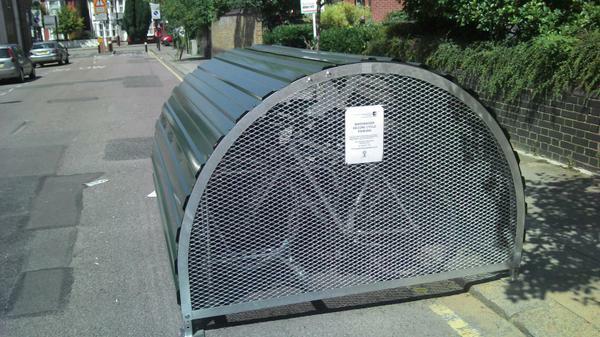 Haringey Cycling Campaign were first consulted on these proposals in July this year. We objected at that time on the grounds that the proposals were not compliant with Transport for London’s London Cycle Design Standards (LCDS) and as such would be detrimental to the safety of people cycling through this junction. At that time we suggested an alternative light-touch junction alteration, pending a more extensive area-wide scheme being brought forward, would be to place the existing zebra crossings on raised tables to slow vehicle speeds and improve safety for all road users. LCDS, paragraph 5.5.4 states: Mini-roundabouts are not generally recommended for inclusion on cycle routes. The main problems they raise are failure of vehicles to observe give way due to the geometry and failure to reduce speed through the junction. Where they exist, they should be considered for replacement where they have more than one entry lane and/or where there is an angle approaching 180 degrees between the entry and exit arms (and therefore little horizontal deflection). Collision statistics for the last 5 years at this location (2 slightly injured cyclists, 2 slightly injured pedestrians and one slightly injured motorcycle rider, all in collision with motor vehicles, with no recorded injuries at this junction since 2013) suggest that this junction is not exceptionally dangerous in the context of other nearby junctions. It is probable that some of these injuries to cyclists and pedestrians were caused by failure of vehicles to observe give way… and failure to reduce speed through the junction. A mini-roundabout at this location, given the proposal includes an angle approaching 180 degrees between the entry and exit arms and other issues described by LCDS, is likely to increase such risks to vulnerable road users. We formally objected by email again on 2 November, adding that in addition to the issues described above, this scheme may jeopardise the recent bid for Liveable Neighbourhoods funding for Crouch End, given that the design principles for Liveable Neighbourhoods specifically require adherence to TfL’s ‘Streets Toolkit’, including LCDS. In the longer term we would like to see a scheme put forward that minimises or eliminates turning conflicts at this junction. A more ambitious scheme could deliver this alongside increased green space, including sustainable drainage features to unlock multiple benefits to people and the environment at this location. 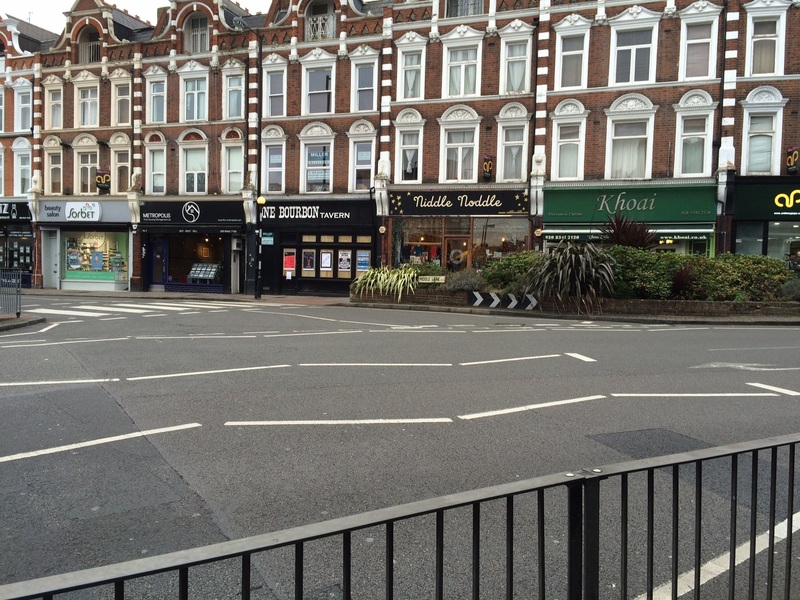 The proposal for a mini-roundabout is dangerous and should not be taken forward.